You only have to look to The Masters Tournament to appreciate the potential video technology has for enriching our golfing experience. For the vast majority of us, walking the sacred turf of Augusta National will always remain a pipedream, yet The Masters holds a very special place in our hearts, not least because we all seem to know the intricacies, undulations and subtleties of the course as if it were our home club. There are other reasons, too, of course. The lush greenery and herbaceous borders and the fact that it’s the first Major of the year and the harbinger of the golfing season all play a part. But I’m certain it’s our familiarity with the course which gets us most excited in the lead up to the event. Even before the television coverage begins, we all know what challenges the golfers will face as they endeavour to plot their way through the tournament in pursuit of that celebrated Green Jacket. So, how has this golf course become so familiar? Well, as loyal armchair viewers and golf fans, we – like the players – come back to the same venue every year, and whether the first winner you saw was Bubba Watson or Tom Watson, we’ve become accustomed to the course thanks to television coverage feeding us aerial flyovers, strategic features, and virtual imagery of each hole. The flyover in particular helps us recognise and understand the course. Traditionally these features are created using a helicopter and video camera, but more modern techniques utilise a mixture of aerial imagery and computer graphics. Of course, the technology is hardly unique to Augusta (think of The Open, BMW Championship at Wentworth, the Ryder Cup, etc), and indeed it is unusual to find a televised event that doesn’t incorporate ‘flyovers’ that enhance the viewer experience. But looking beyond the world of professional golf, some of the more innovative golf clubs are now using the same technique for their websites to allow potential members and guests a view of what they can expect on the course. After all, the aesthetic appeal of a golf course is what inspires us most, and technology can now help whet the golfing appetite more than ever before, making video an invaluable marketing tool for all golf clubs. As evidence, the most visited page on a golf club website is usually the ‘course’ page. If you’re choosing where to play your golf either on holiday, as part of a corporate package or even as a potential member, you want to see what the course looks like. This is where a fly-through comes into its own, building familiarity with the course and connecting with the visitor so that they feel at home on the holes before they step on to the first tee. It’s also true that people spend longer on websites when something truly engages them, and they are more likely to return, too. Smart phones, YouTube, the mobile internet, and fibre optic broadband have all helped to make the moving picture accessible everywhere and so video needs to be considered a key component of golf club marketing. Beyond an attractive feature on a website, video can also be used on big screens in the clubhouse, as emailable files and DVDs in a member’s pack, and much more. However you choose to use video, flyovers certainly shouldn’t be discounted as something only available to coverage of The Masters. They should be embraced as a modern technique for inspiring potential visitors and members to golf clubs across the land. 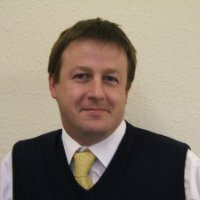 Marcus Lovelock is General Manager at PinPoint Golf, suppliers of quality marketing collateral that uses online as well as traditional presentational technology.